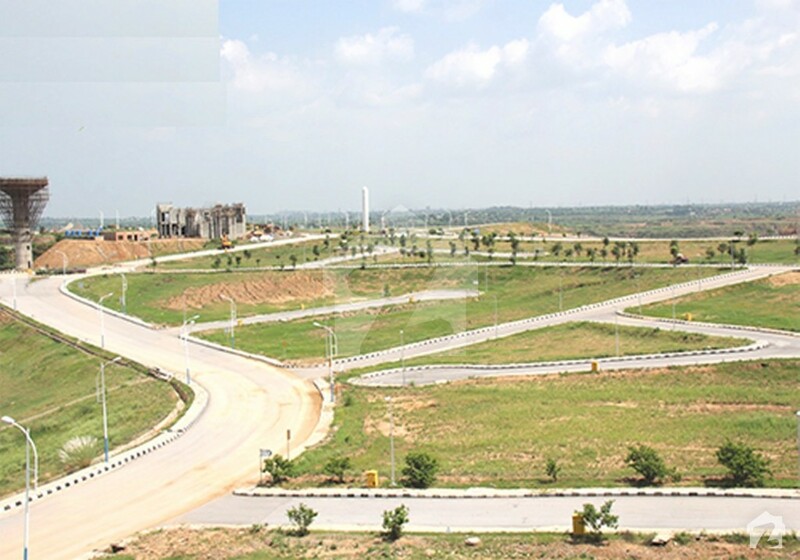 Bahria Garden City is the prime example of a modern gated community. Located at one of the most desirable locations in Islamabad, the residential plots are fully developed and ready for possession. For a contemporary lifestyle experience in the world’s second-most beautiful capital, Garden City offers a comprehensive set of facilities and amenities. The basic needs of a city life are readily available in the form of fully functional school, hospital, mosque, community centre, and gymnasium. Residents will also have access to an international standard medical hospital and college. Recreational facilities such as an 18-hole golf course, lakes, and cricket stadium are also available. Residents will be able to enjoy a peaceful life round the clock. For this purpose, the best security professionals and experts have been hired, and CCTV surveillance installed. Maintenance staff has also been prepared for the residents, so their comfort is never disrupted. Bahria Garden City is a high-quality residential project; immensely feasible for family-oriented living. The community not only offers all the basic needs of a contemporary life, but makes so possible within the safest environment. All the contemporary facilities come equipped with a touch of luxury and class to ensure the most comfortable and advanced lifestyle for the residents. 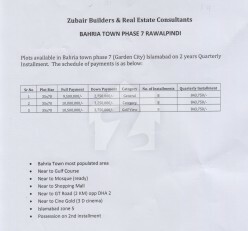 The plots in Bahria Garden City are available at first come, first served basis. Interested buyers can visit the project site to see the premium infrastructure or choose a plot of their choice from the master plan. Garden City is a project built upon principles of professional integrity and high standards of quality. It is an investment worth considering for genuine buyers. Garden City is a project marketed by Zee Marketing. They have been serving the nation within the real estate industry for several years and happens to be fastest growing company in this sector. 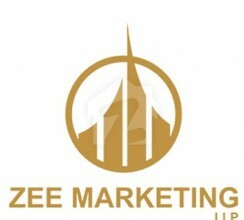 Zee Marketing is reputed for marketing both residential and commercial projects in Karachi, Islamabad, and Rawalpindi. Catering to a variety of client demands, Zee Marketing sponsors projects that meet high standards of quality and excellence. Zee Marketing prides itself for believing in the values of professional integrity and ensuring client satisfaction. Making a decision regarding a real estate investment can be crucial and difficult. This is why Zee Marketing offers the best experts and professionals in this regard, who guide the clients to make the most profitable decisions. Whether it is renting, selling, or purchasing of residential and commercial markets, clients will be able to get the best advice.